Feel good in the passenger compartment. As experts for vehicle climatization as well as display and control systems, we contribute to a relaxed and safe driving experience thanks to our products. The efficient climate regulation in our control units ensures optimal comfort no matter the external conditions and the various driving situations. 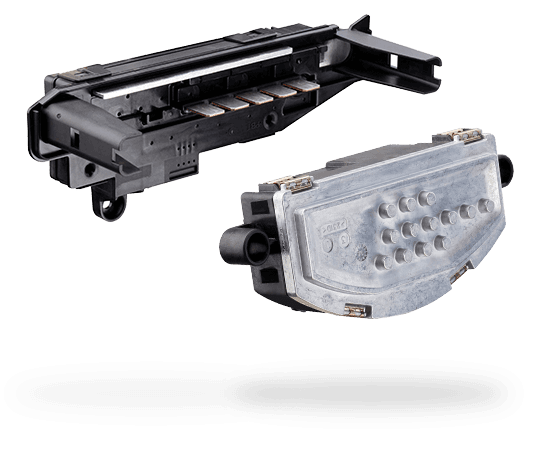 Our climate control applications range from the one-zone variant for smaller vehicle classes through two-zone variants for medium-sized to the four-zone variant for high-end and luxury vehicles. The control algorithm specially developed by our engineers ensures energy-efficient and noise-optimized operation of the climate system. Vehicle passengers can adjust the climate quickly and easily to their individual needs. In addition, our innovative climate sensors ensure the complete measurement of all ambient conditions. This way, we guarantee your personal feel-good climate in the vehicle and pave the way for safe and relaxed travel. Optimal comfort for driver and passenger. 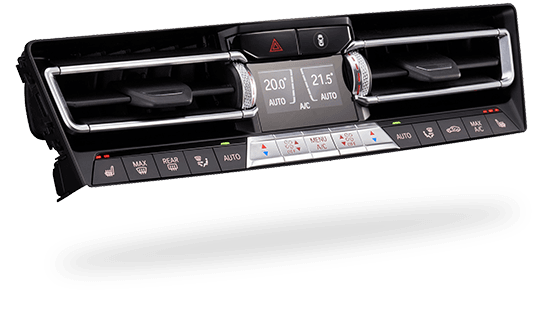 The deluxe automatic air conditioning guarantees optimum comfort for the driver and front-seat passenger, as well as, through a third climate zone, for passengers in the rear. The unit has a striking high-brilliance central TFT display which highlights the setting options context-related as soon as the toggle keys underneath are touched. The temperatures selected by driver and front-seat passenger are shown separately and in high contrast on the first-rate ball-bearing-mounted rotary controls. The excellent impression is enhanced by the black panel effect when switched off. BHTC’s multifunctional climate control panel graces the interior of the new Mercedes-Benz A-Class. Climate functions are operated by activating the chrome-plated rocker keys including function feedback. The climate functions are shown on the information display at the same time. Functional design and sophisticated haptics are impressive features of the multi-functional climate control panel that is integrated compactly in the high-grade cockpit. The units are produced at our international plants in Bulgaria and Mexico. 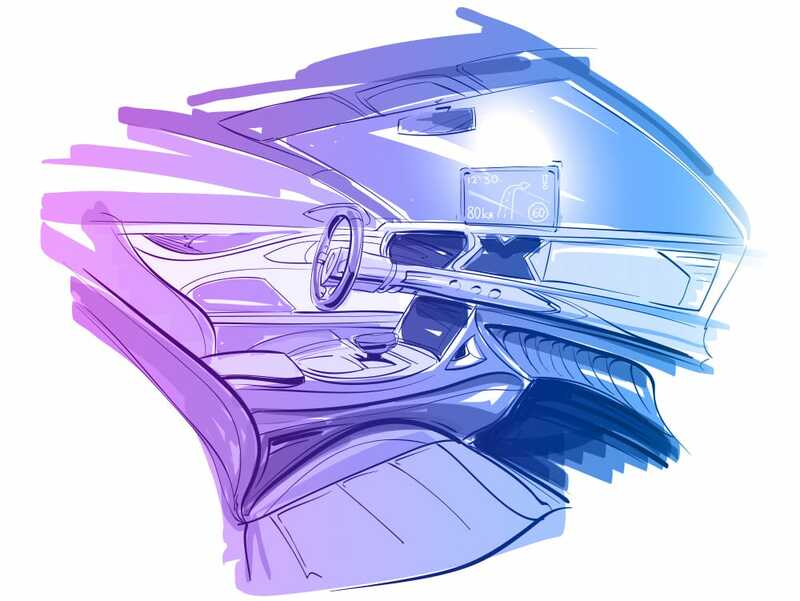 BHTC plays its part in designing the interior of the future. BHTC developed a state-of-the-art climate control panel combined with a fresh air grille (air outlet nozzles) for the BMW 8 Series and the X5. A high-resolution TFT display positioned in the center puts the finishing touches to the unit. The intuitive control strip at the bottom with its chrome-plated keys guarantees simple operation. The settings are visualised with a crisp sharpness on the display. 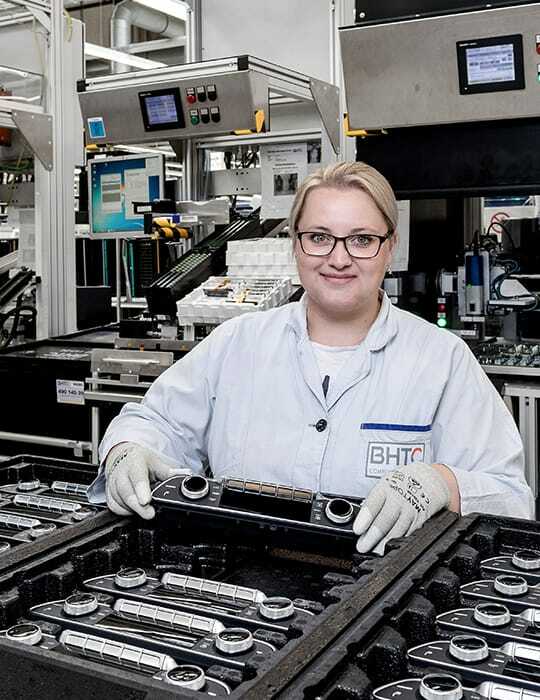 With the MQB platform (modular cross-brand system) BHTC develops and produces climate control elements and units for a wide range of different vehicles including the VW Golf 7, Seat Leon, Skoda Kodiaq and around 30 other models. 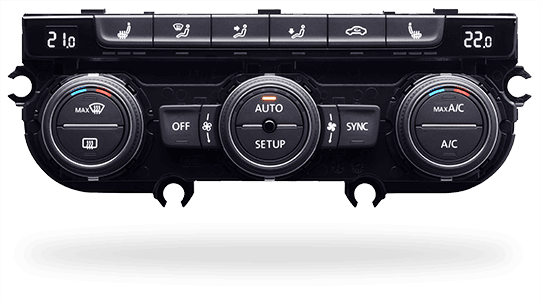 The design-specific climate control panel for each model series has a two-zone Climatronic with black panel effect and energy-efficient climate control that supports the automatic start-stop feature. A perfect combination of comfort and CO2 efficiency. Next to algorithms and sensors, electric auxiliary heaters and blower controllers play a significant role in vehicle climate control. They are among the high-power consumers in the power electronics sector. This makes it even more important to control them efficiently and intelligently on a top-quality level. Depending on the temperature and air flow requirements, blowers and electric auxiliary heaters can be adapted smoothly to the respective conditions using BHTC power electronics. 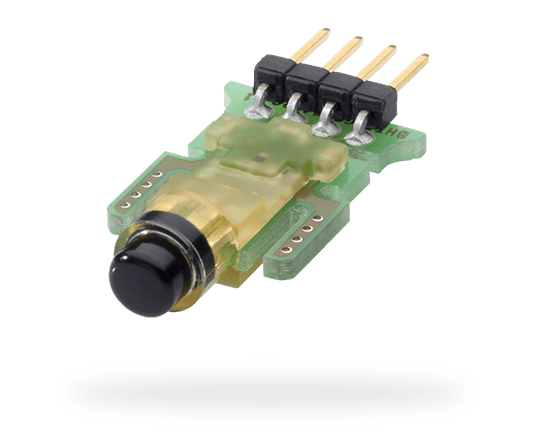 Sensors supply the input signals for controlling the level of climate comfort. Sensible and robust detection of ambient conditions forms the basis for perfect climate control. The best example of BHTC's pioneering role is the ITOS® non-ventilated interior temperature sensor which, as the world market leader, the company has been using in series since 2002 and is now in its third generation. The black-box as standard for modern climate control in cross-vehicle platforms. 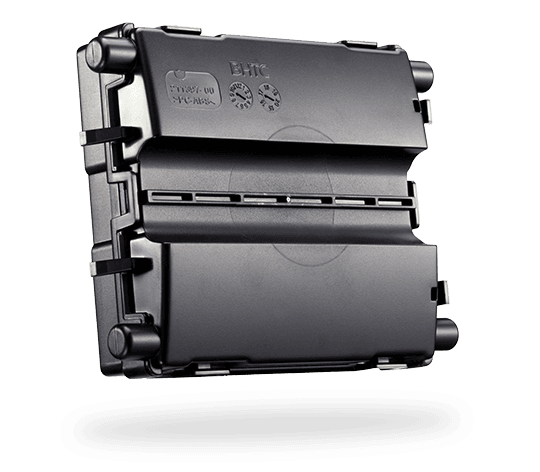 BHTC algorithms stored in the black-box ensure individual climate comfort in your vehicle. Produced millions of times, BHTC black box expertise forms a mainstay within the product portfolio. Customers around the world include General Motors, Renault/Nissan, Daimler and Porsche. Our intelligent climate software ensures best possible comfort even in the most varied of driving situations. The modular control algorithms are used for all vehicle variants from one-zone small vehicles to fully automatic multi-zone high-end vehicles. We have special solutions to offer for efficient climate control in electric cars. 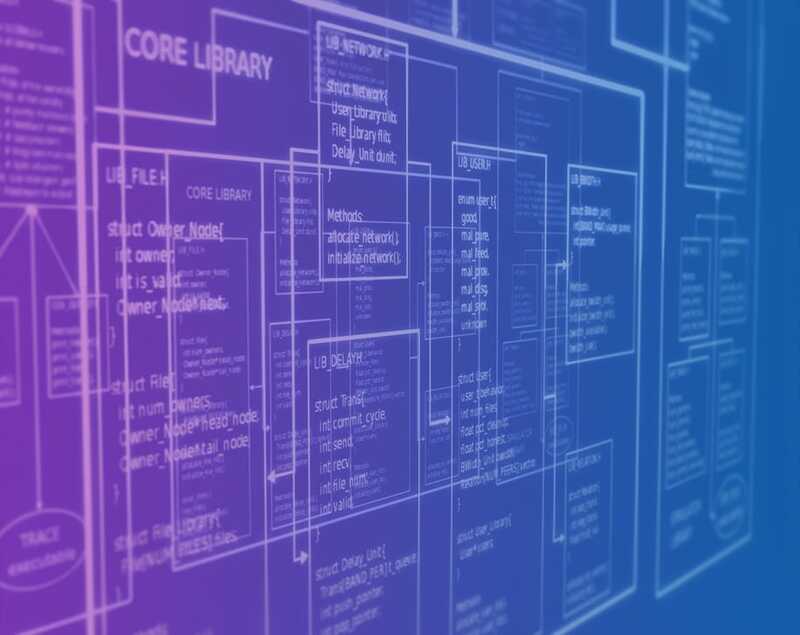 We also supply this software to our customers as a product, for implementation in customer-specific target systems or in one of our control units. Standardized interfaces in compliance with AUTOSAR are applied in order to facilitate integration in the target system as well as the efficient measurement and calibration of system-related parameters. Our experienced engineers equip every customer vehicle on the basis of our control algorithms in such a way that the result is always optimum comfort in the vehicle under all climatic conditions. BHTC has been setting benchmarks for years in the field of comfortable vehicle climatization – our benchmark is you. The products presented on our website only reflect a small area of the BHTC product portfolio. We work with the following global customers in the field of climate control.